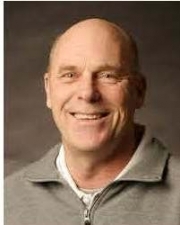 The training, “Servant Leadership … The Only Leadership That Lasts,” takes the principles of athletic coaching, as inspired by Coach Don Meyer, and applies them to business and organizational structure. Leadership, team building, stress management, negotiating, motivating team members, and employer/employee/customer relationships are all discussed, illustrated and demonstrated with the goal of increasing the personal and professional success. The course will also shed new light on setting goals, exhibiting leadership, successful event control, fostering a team attitude, and improving relationships. in the Timberline Room at Black Tooth Brewing Co. Note: Also indicate in the Message Box whether you’d like more information about getting college credit for this class with Northern State University, Aberdeen, SD.